Karukera West Indies 20 ml. Savour a Coco Punch which smells of the Antilles. Discover a recipe full of sweetness and smoothness. An e liquid without the alcohol. 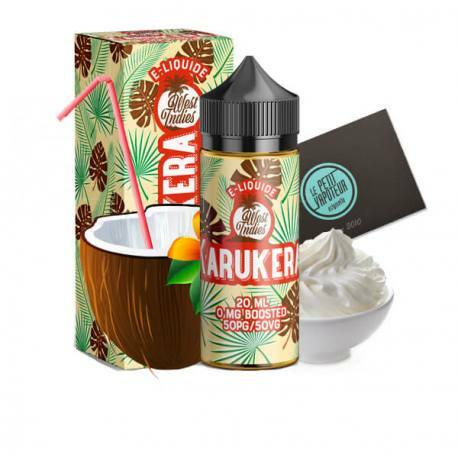 The Karukera E Liquid 20ml is produced in France by Savourea.